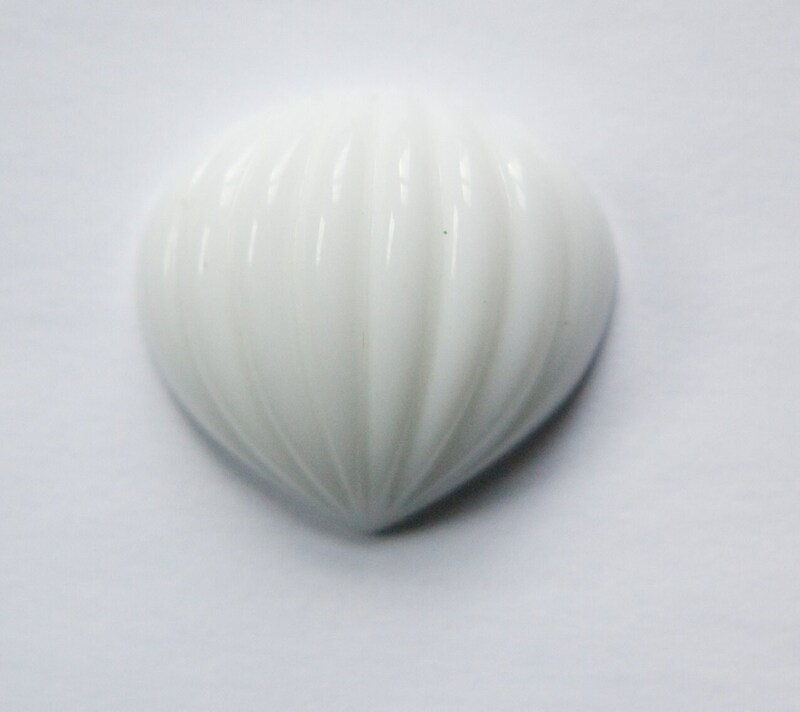 This is a vintage white glass cabochon that was made in Germany. 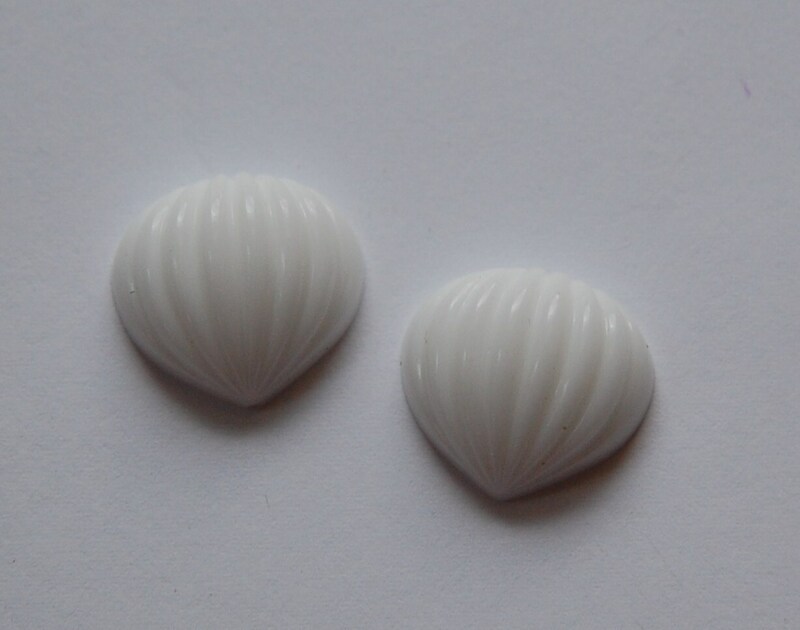 The back is flat and the front is domed and ribbed. The shape is a little like an onion. 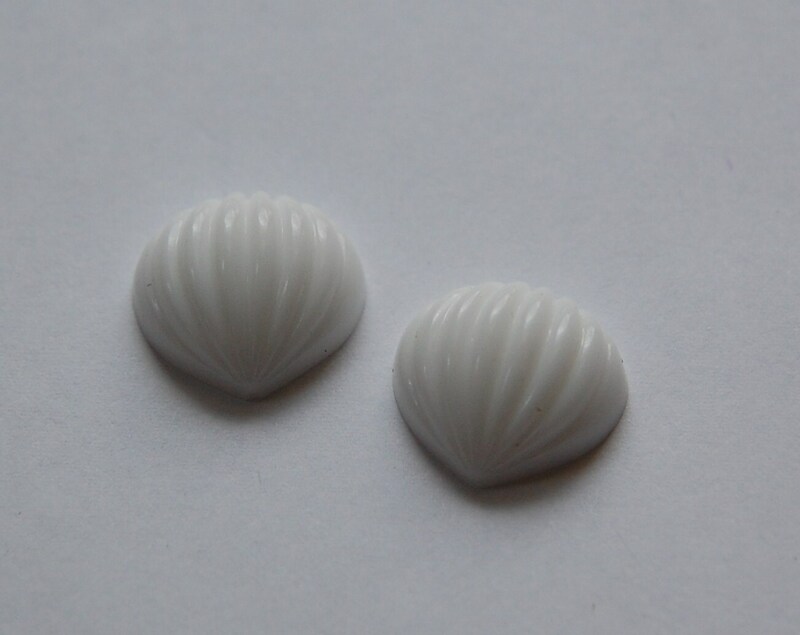 These measure 25mm high X 26mm wide. You will receive 1 piece. The second and third picture are of the same cab in a smaller size that we have listed. I love this shop for many of my supplies! Great, quality items and wonderful customer service. I continue to shop here and you should too!! !